Our school curriculum offers our children an exciting and varied diet of skills and knowledge. Our experienced staff to ensure children’s lessons are engaging and memorable. 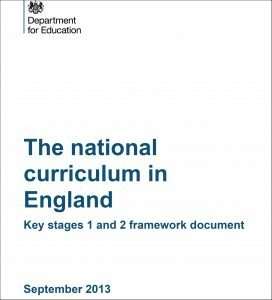 Early Years Foundation Stage(4-5 years of age) Children learn within the Foundation Stage Curriculum. We have close links with our feeder nursery schools and as such, the move to Brookland CE Primary School is a smooth and positive step for your child. Children settle well in our Early Years Foundation Stage class where learning is seen as a journey that will take their abilities and knowledge to a new place each day. Key Stage 1 (5-7 years of age) As your child grows and is able to think more for themselves they will enter a more formal learning environment in Year 1 and Year 2, this is called Key Stage 1. Children will be taught English and Maths as distinct lessons as their abilities are encouraged. Their learning is linked through a variety of learning experiences where your child will learn about the many areas of the National Curriculum in an enjoyable and stimulating way. At the end of Year 1 the children undertake a Year 1 Phonics Test and at the end of Year 2 the children will sit SAT’s tests which informs Teacher Assessments and an end of KS1 Report is sent to parents. Our key aim is to ensure your child enjoys learning and becomes numerate and literate in readiness for their move into Key Stage 2. Key Stage 2 (7 -11 years of age) The pace of learning increases for your child in Key Stage 2 and our expectations also rise as they move through the school. The curriculum is taught where possible through learning experiences. These experiences are carefully crafted opportunities , linking your child’s learning and developing the skills needed to become an independent learner. In addition to the learning experiences, children receive a core diet of Literacy and Maths and have wider opportunities to develop their skills in distinct subjects such as music, French and religious education. In Year 6 pupils sit more formal tests in September (Kent Test for Grammar School Selection) and May (SATS) before moving onto their secondary school.